To celebrate the Queen's Diamond Jubilee in 2012, the CGT presented a Magnolia 'Elizabeth' tree to Lord Ashbrook, Patron of the Trust. 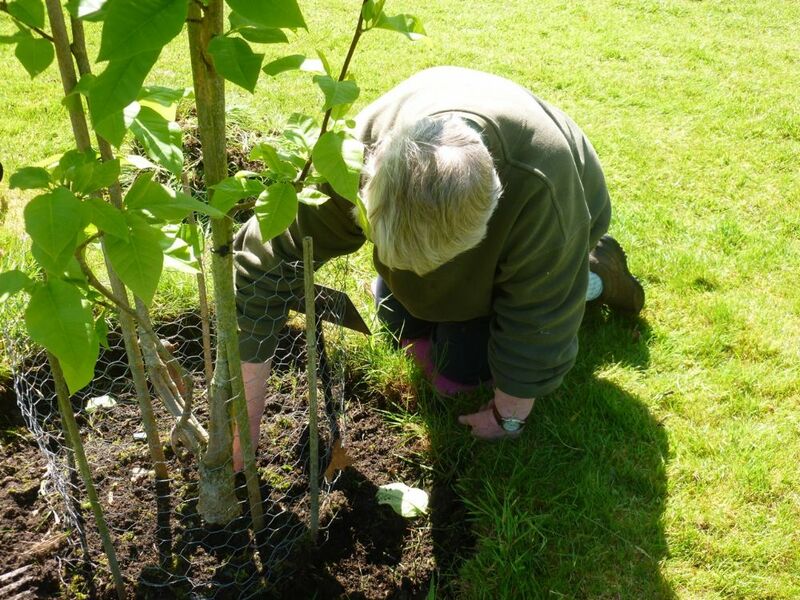 It seemed timely to update everyone on the progress of the tree, planted at Arley Hall and Gardens, in view of the special birthday of The Queen this year. The tree is doing very well and has just undergone its annual spruce up and mulch, this being ably undertaken by Ruth Brown. The yellow flowers have been much in evidence this year and enjoyed by the visiting public. For more photos please see the Gallery.